Tech Pulse podcasters Josh, Kyle, and Anthony introduce themselves and discuss the iPhone, Safari 3 Public Beta, YouTube content on the Apple TV, and Parallels Desktop 3. Will it affect how other mobile phone makers design their most basic models? How many units will Apple sell in 2007? How soon until they really open it up to third-party developers? Like actual apps downloaded onto the phone, usable even when you can't get a phone signal? Steve Jobs recently said in the Walt Mossberg interview that it would be opened up eventually: "We're working through a way—we'll find a way to let third parties write apps and still preserve security on the iPhone." Why should anyone care about third-party iPhone apps? Now available for Mac... and Windows! Get Windows users more accustomed to the "Apple experience"
So... how exactly does it work? Are all videos reencoded as H.264? Has this been done for all videos, or only the most popular ones? Will this be done for all new uploads to YouTube instantly from now on? What kind of interface does the Apple TV have for browsing YouTube videos? Now with support for 3D gaming!!! 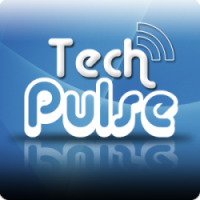 Welcome to the Tech Pulse Podcast!